AD International – Magma Industries B.V.
Magma Industries is a subsidiary of AD International, a specialist manufacturer and provider of surface treatment solutions and toll manufacturer for products used in industrial processes tailored to customer specifications in expanding international markets. AD International has built a reputation for delivering high quality, surface treatment chemistry for metal substrates that adds value to industrial processes by meeting customers’ needs to prepare and protect their products. By investing in effective manufacturing technology and efficient process practices, AD International has become the production partner to a wide variety of customers in the chemical sector providing toll manufacturing services. This responsibility is only achievable through proven capabilities in meeting critical specifications. AD International supports its customers by designing and developing fully integrated ‘start to finish’ chemical treatment systems that form part of efficient manufacturing processes. These processes can be applied to a wide variety of products. 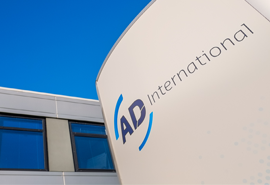 AD International takes total responsibility for the systems it delivers to ensure that expected outcomes are met and specification demands are achieved. AD International, as an innovative chemical company, makes a vital contribution to the quality and durability of products around the world driven by it’s advanced development skills. AD International delivers surface treatment chemistry based on knowledge and experience, innovation and solution thinking. AD International manufactures chemical products, utilizing its state of the art production processes – based on extensive chemical knowledge – to exacting customer specifications. AD International is a responsible and supportive partner, caring for its customer, stakeholders and the world it works in. Magma Industries has been providing quality fire retardant fluids, coatings, industrial additives and supplementary products with added value for well over 25 years. Magma Industries’ products and services are designed to satisfy our customers’ needs. Magma’s advanced R&D facilities at the laboratories of the parent company, AD International, are dedicated to the development of high performance products. The management of AD gives priority to an effective policy on Safety, Health, Environment and Quality with the principles. We see our ISO 14001 certification as a proof of this dedication.